Hi sweet peas! I am feeling super run down at the moment so I thought, why not live vicariously through my own experiences and take you back to one of the most relaxing moments of our Bali trip! 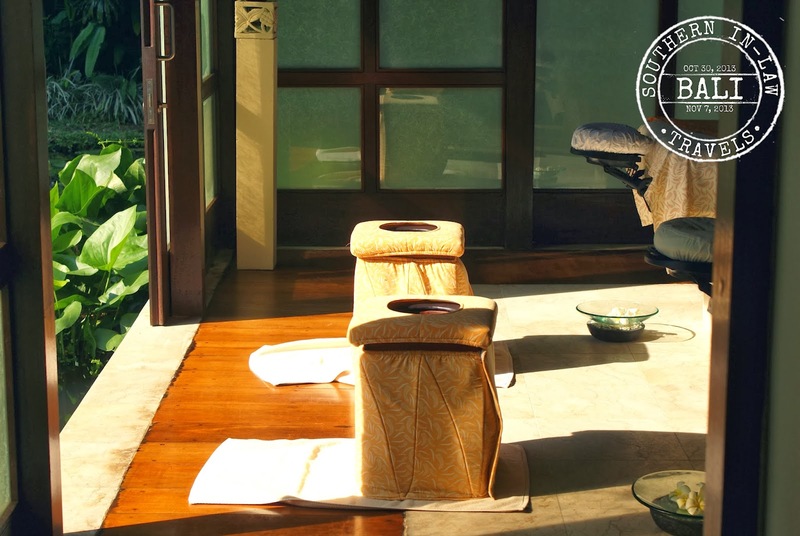 Our Spa experience at The Four Seasons Sayan. After checking into our villa, one of the first things we had planned was a Muladhara Spa Treatment at the resorts Spa Villas. We walked to the spa villas from our room (we could have called for transport via buggy but it we prefer to walk around when we're somewhere new). 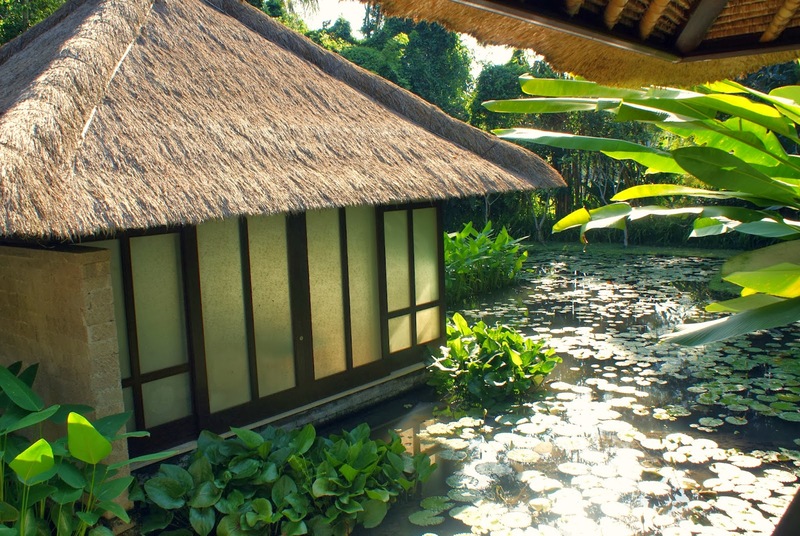 The spa villas were heavenly and seemed like they were floating on top of the lily pond and it was then I knew I'd be walking away feeling as relaxed as ever. I'd have to say that massages are one of the most relaxing experiences - especially in today's world. Think about it, you kind of have no choice but to relax. No phones to distract you, the to do list has to wait - you sink into the massage table and enjoy every rare second of peacefulness. The Muladhara is your root chakra and one of the seven primary chakras according to Hindu tantrism. It's located at the base of your spine, anchoring you to the earth and balancing the Muladhara chakra calms down the body and mind. 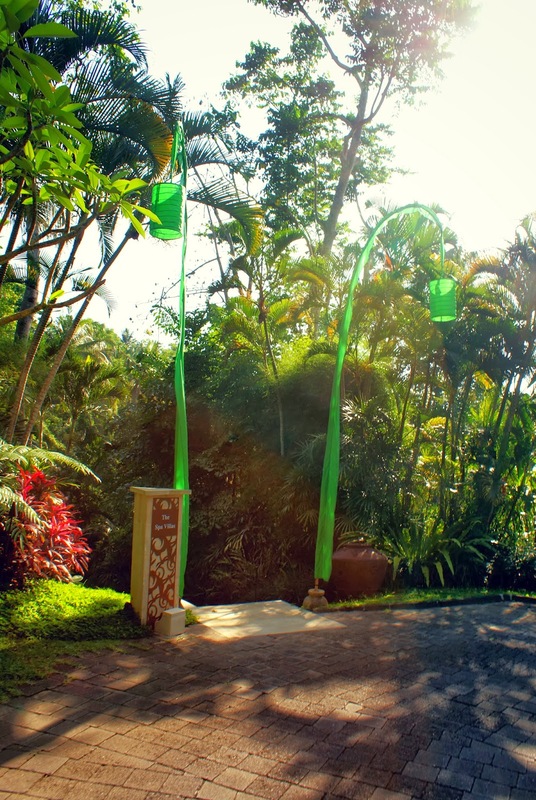 The root chakra is definitely important in Balinese Culture and is part of many traditions. Twice a month in the Balinese calendar, it is a ritual to cleanse the body from negativity to bring good health and, traditionally, this is carried out by a priest or priestess who uses a sacred and secret mantra that works with the root chakra to cleanse and open it to the earth. We started our treatment with a foot wash, as most Balinese massage treatments do, and then we sat on the stools you see above for a Balinese sacred kemenyan smoking whilst the therapists played the singing bowls. I have to admit, Jesse and I had never done anything like this before during massage treatments and it was quite odd - but after we sat for a while, it became incredibly relaxing. After the smoking, we then headed to a second room where our massage tables were set up. 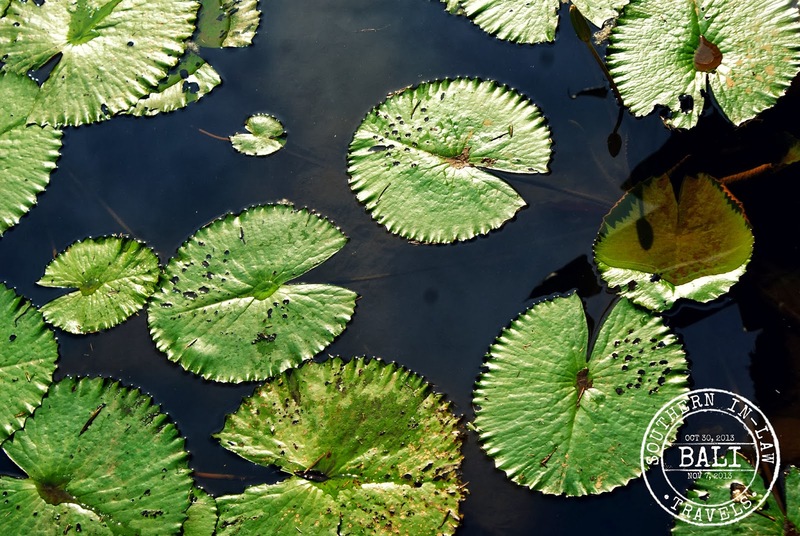 The villa looks out onto the gorgeous lily pond and you could hear the sounds of birds in the distance. 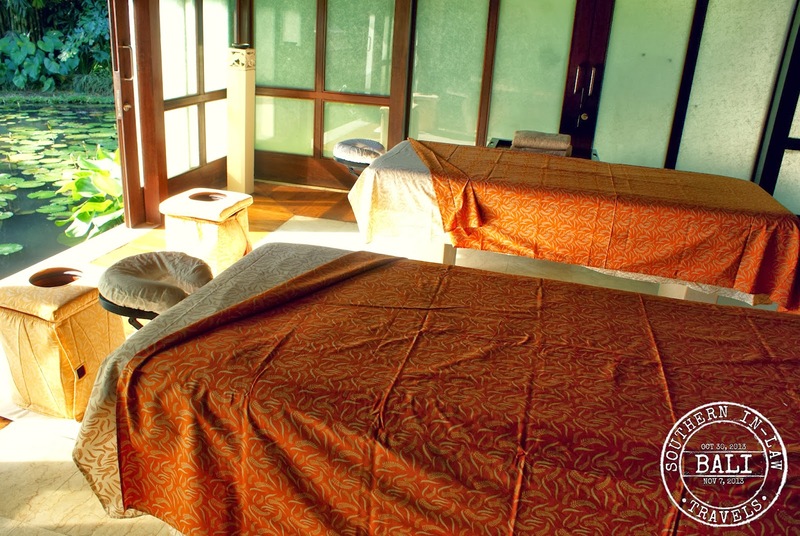 Warm sun streamed onto the massage tables and traditional Balinese music played softly in the background. I honestly can't think of a more peaceful setting and it was exactly what we needed. The Muladhara treatment featured a slow, deep massage during which the therapist used a blend of ground ginger and cinnamon and vetiver, patchouli and jatamansi oils. The smell was and truth be known, Jesse actually fell asleep during this treatment. After the hour long treatment I felt incredibly calm and relaxed. I had this incredible sense of stillness that is so weird for me (being someone that is so incredibly busy and thrives on it) and all I wanted to do was curl up and go to sleep. But tell me, are you a massage fan? When was the last time you felt truly relaxed? Jesse calls me the massage queen and we've actually joked that I should be a massage critic because I love them so much. To me, there are few things more relaxing than a massage! Infra-red Sauna Sydney has been successfully treating it’s clients since 2005, assisting in everything from injury recovery for athletes to providing relaxing massages to those that simply wish to indulge themselves.